Home » What Does It Cost to Be Wrong? 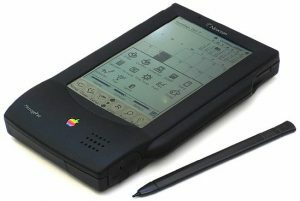 What did the failed Newton project cost Apple? What did the OS/2 mistake cost IBM? What did it cost Blackberry to stick to its keyboard? What did it cost Nokia to ignore Apple’s iPhone? Every day businesses around the world make expensive mistakes. Sometimes, the cumulative impact of the errors can be read directly in a company’s performance (like when IBM lost nearly $ 100 billion in the years 1991-93), Mostly, however, they can hide the mistakes behind other and more successful activities. 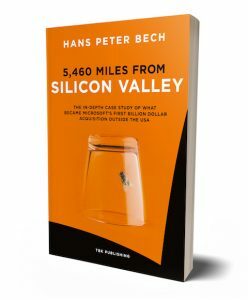 As you can read in my book, “5,460 Miles from Silicon Valley,” the Danish software companies Navision Software and Damgaard Data both collaborated with IBM and were not exactly excited about the outcome. However, their experiences and dissatisfaction were very different, and where Navision Software initially made huge gains from the collaboration, Damgaard Data may have paid a high price. 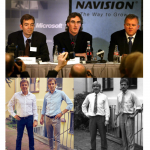 Both Damgaard Data and Navision Software can assign a good deal of their success to very favourable timing with one of the biggest changes in the history of the IT-industry, namely the emergence of the open PC platform, Microsoft’s success with DOS (and later Windows) and the development of the network technologies that could tie it all together. These conditions made IT so much cheaper and more powerful that small businesses were prepared to invest in PC-based solutions. 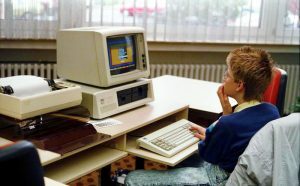 The demand for software for the PC platform exploded between 1985 and 2000. The established suppliers of mainframes and minicomputers missed the shift in the industry, and in less than 10 years most of them had to close shop. Other suppliers took their place, including software companies such as Damgaard Data and Navision Software, which understood how to take advantage of the sudden shifts in the market. Although both Damgaard Data and Navision Software developed highly competitive programs, they didn’t sell themselves. Both companies started solely focusing on Denmark, and where Damgaard Data was responsible for promotion and branding and for recruiting and managing the dealers serving the customers, Navision Software initially chose to put these tasks in the hands of external distributors. When Navision Software prepared the launch of Navigator in 1987, they managed to get no less than IBM Denmark to take care of distribution. 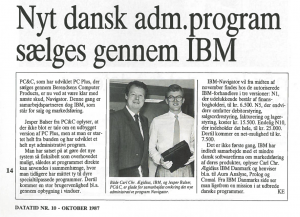 From 1986/87 to 1994/95, where the cooperation with IBM stopped, Navision Software’s revenue in Denmark rose from USD 1 million to over USD 8 million. With a gross margin of 30 percent of the retail price, Navision Software sold software for USD 26 million at market prices. 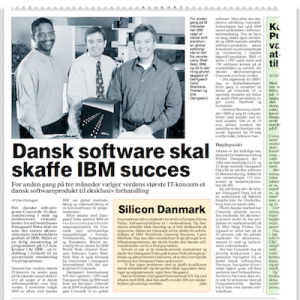 Where Navision Software was very pleased with the IBM cooperation in Denmark, it did not appear to have any spill-over effect on IBM’s other national subsidiaries. Despite several initiatives, it was not possible to convince other IBM subsidiaries to copy the undisputable success that gave IBM Denmark the highest market share among its peers. Therefore, as early as 1990, Navision Software began to find its own ways to the international markets and by the end of 1994, when the cooperation with IBM Denmark stopped, more than 50 percent of Navision Software’s turnover came from exports. Damgaard Data quickly took the position of leader in the Danish market for financial management systems for small and medium-sized enterprises. In 1986/87, they booked almost USD 3 million in revenue and were therefore three times larger than Navision Software. The figures may not be completely comparable, as Damgaard Data itself was responsible for the distribution and therefore retained a higher margin, but these are the figures reported in the annual accounts. Damgaard Data had major challenges with internationalization and didn’t find the right distributors that could push the train into action. Preben Damgaard consequently gave IBM Denmark a warm welcome when they called him in the second half of 1993 to start a collaboration on internationalization. You can find the details of the joint venture between IBM and Damgaard Data, and what Navision Software chose to do instead (after the cooperation with IBM stopped), in my book “5,460 Miles from Silicon Valley“, but here are the short and brutal facts. Damgaard Data sales rose from USD 30 to USD 93 million in the period 1994 to 1999, while Navision Software’s increased from USD 13 to 167 million. During this period Damgaard Data realized a total net profit of USD 19 million, while Navision Software’s corresponding profit totalled 40 million. It is fair to note that Damgaard Data’s export performance in the years 1994 to 1997 is not included. These figures were reported in the joint venture with IBM, Damgaard Data International A/S, and not consolidated with Damgaard Data A/S. If Damgaard Data International was recognized by 50 percent (not counting the results in Denmark twice), turnover in 1999 would have been USD 111 million. All other things being equal (which I know is never the case), Navision Software performed significantly better without IBM than Damgaard Data did with IBM. When the two companies were listed in 1999, it seemed as though the difference had disappeared. At the time of listing, their market caps were almost identical. However, facing declining demand after the millennium and difficulties associated with the burst of the dotcom-bubble, Navision Software turned out to be far more robust. When the two companies merged, the Damgaard shareholders were left with 28 percent of shares, while the Navision Software shareholder took 72 percent. 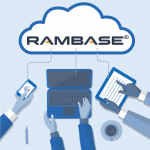 What can we learn from Damgaard Data and Navision Software’s experiences? When working in a small company, one can easily be flattered by a request from a large and reputable organization. But you should take it easy and remain calm. 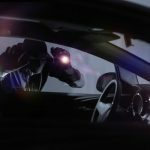 Companies do not cooperate with companies. People cooperate with people and they do so for very specific reasons. It is worthwhile checking and understanding the motives, positions and responsibilities of the people who make the initial invitation. Large companies are usually far more bureaucratic than small ones. This means that the small company may risk investing a disproportionate amount of energy in the preparatory clarifications that may (and most likely will) end up in nothing. For the small company, the alternative costs can be significant. For the big company, not so much. Therefore, the small company should insist on a quick decision-making process. A small and paid-for pilot project is far better than big fat birds on the roof. Middle managers in large companies change jobs quite often. With extended negotiations people may come and go and new agendas get introduced. One should limit the number of people involved in the initial clarifications and keep the cards close to the chest until there is something concrete to report. And, finally, you should uncover options for alternatives. 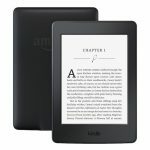 Are there any competitors to the big company that might also be interested? What else can you do if an agreement is not reached? 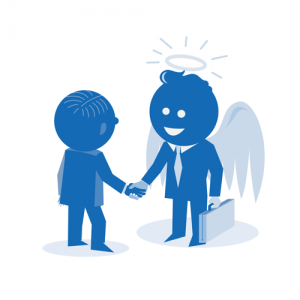 An attractive fall-back alternative makes most people excellent negotiators. Finally, it should be remembered that apart from the top-level senior executives, managers in large companies are white-collar workers with completely different incentives and far less impact than executives in smaller companies, who are often major shareholders, too. When an owner says “yes, we’ll do it ” then he or she has direct access to pull the levers to make it happen. This is rarely the case in the large company where strategic decisions and operational execution are often distributed across many people in different departments, pursuing different objectives. The small company should therefore get firm confirmation that the drive for cooperation is endorsed and sponsored by high-ranking executives in the larger organization. And that confirmation must be based on an easily understandable, logical, short-term and measurable gain for this person. That person is most likely sitting in the big company’s global headquarters and not in a regional or country office. The Damgaard brothers bought out IBM in the fall of 1998 for USD 15 million, for what corresponded to 15 percent of the shares in Damgaard Data Holding A/S. Just 12 months later, when Damgaard was listed, this share had a value of USD 165 million. And finally, it should also be emphasized that the Damgaard brothers did say “no thank you” to IBM’s two efforts to buy the entire company. Had IBM succeeded in acquiring Damgaard Data, it would have cost the brothers millions, and it would probably also have killed the company. Not because IBM did not have noble intentions, but because of the rapid development in the industry, forcing IBM to change its strategy in a direction that did not make room for a small Danish software company like Damgaard Data.